An umbrella for all weathers with strong, fashionable framework of 24 bones that is strong against rains, winds, snow and sunlight. Besides the rains, it protects you from the ultraviolet rays. The cloth is water-repellent polyester, which can easily dry, while the inner silver-coating cuts 99.7% of the ultraviolet rays. For the handle, it uses PU leather (artificial leather) that may give the texture of high-end leather. 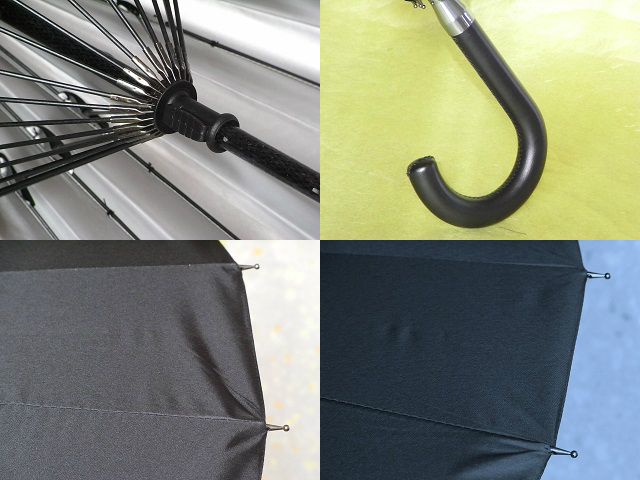 Such elaborations in details make this umbrella a special product for men. Manual type. 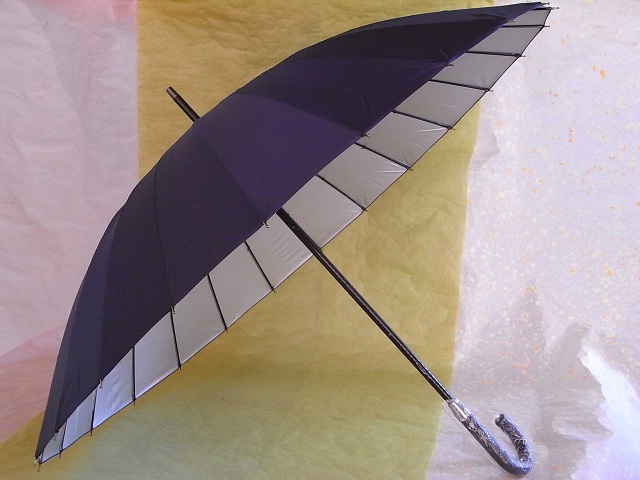 Please look at this cool umbrella and others in our online store !